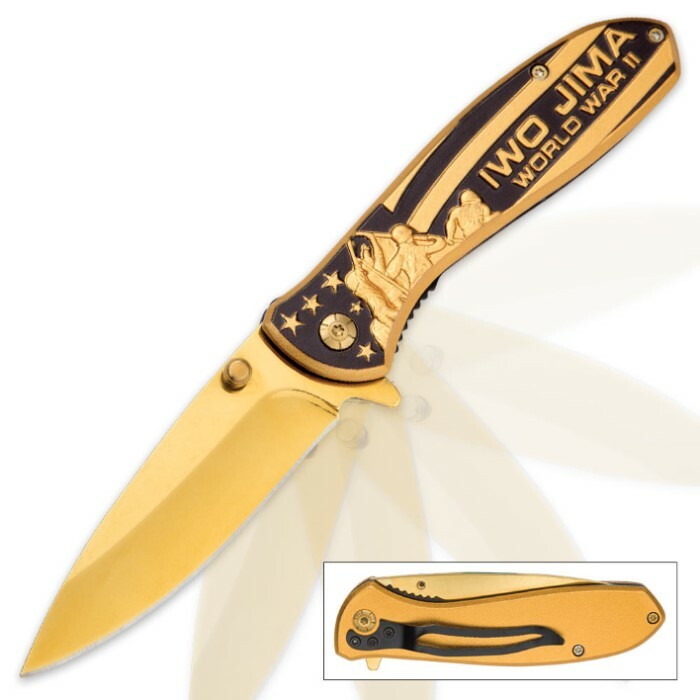 Iwo Jima Pocket Gold Knife | BUDK.com - Knives & Swords At The Lowest Prices! Our Iwo Jima Gold Pocket Knife is a brilliant addition to our collection of patriotic pocket knives. 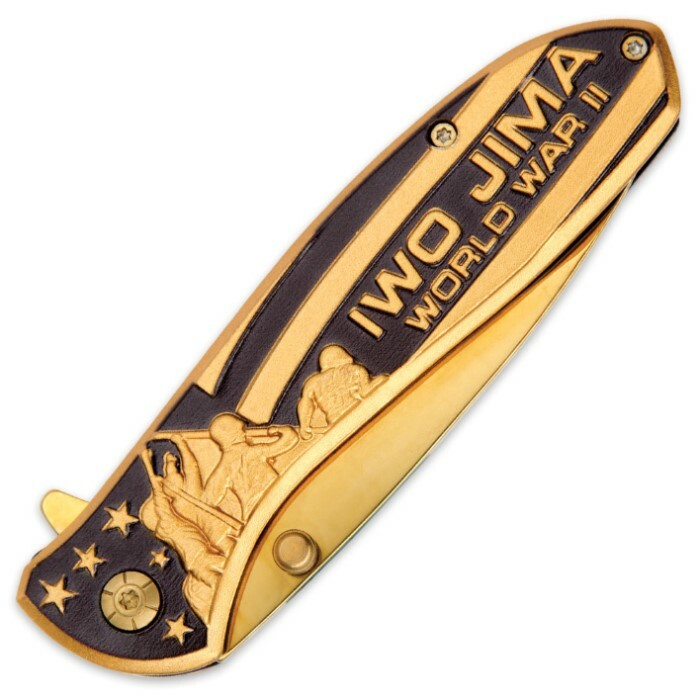 The cast stainless steel, matte gold finished handle has an artfully designed Iwo Jima motif, which is set off with a black background. 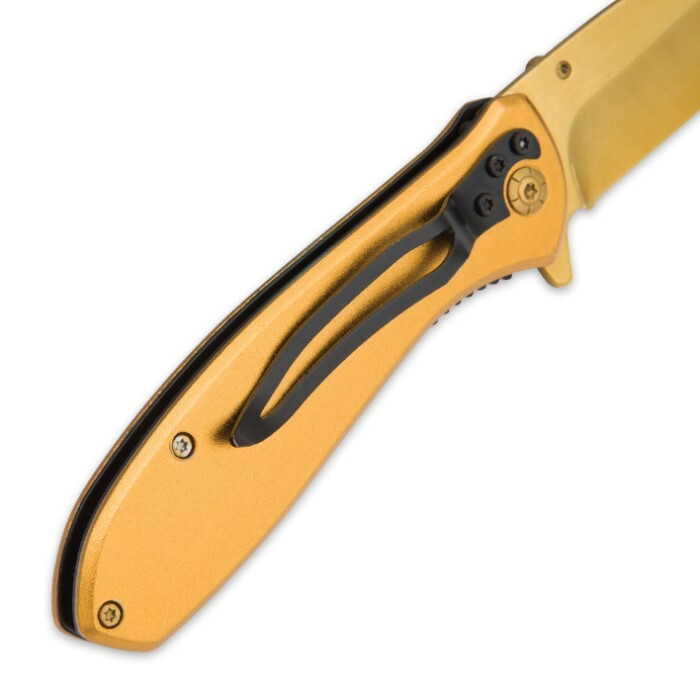 The 3 1/4” gold stainless steel blade can be easily accessed with the assisted opening mechanism using either the thumbstud or flipper. Grab this All-American pocket knife today!